The social and political climate in the 19th century America was colored by rapid industrialization, densification of rail and a telegraph network, California Gold Rush, the influx of immigrants and, of course, slavery. Although the country had set its foundations, it still struggled to achieve stability and establish a solid national culture. 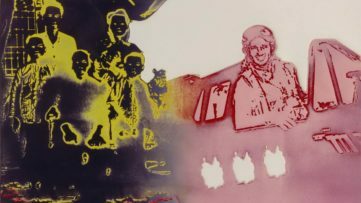 When it comes to visual arts, the American artists logically embraced European representational models and accommodated them in accordance with their own interests. Such was the case with the Hudson River School. The practitioners of this particular style were dazzled with Romanticism, so the dominating genre was landscape through which the artists articulated their vision of America aimed to unleash the fancy of the observer. Their paintings were mostly produced within the Hudson River Valley and the surrounding area, including the Catskill, Adirondack, and the White Mountains, while the later generation depicted the bewildering beauty of the American West as well. 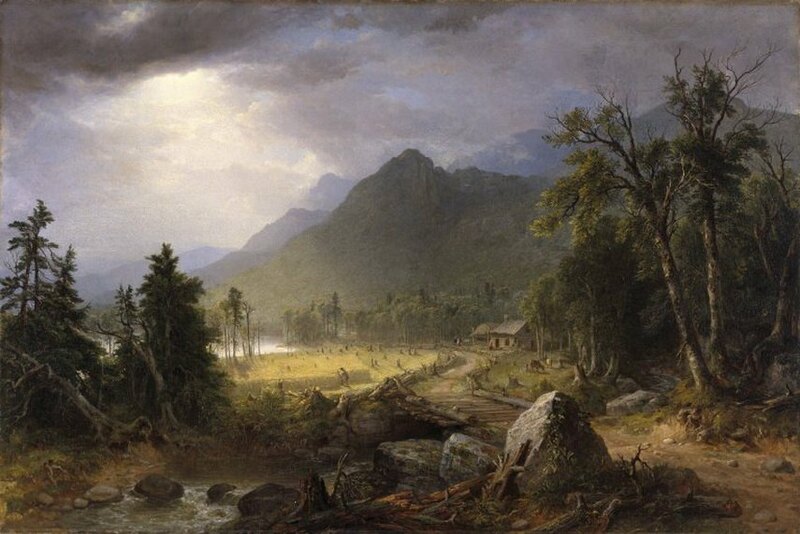 The term Hudson River School was apparently first used by Clarence Cook, the New York Tribune art critic, who used it to describe the work of the landscape painter Homer Dodge Martin. It was used from time to time in order to frame the fascination with plein air aesthetic by then American collectors and patrons. Three themes seem to be the uniting factor of the artists belonging to Hudson River School and those are discovery, settlement, and exploration. Their paintings depict the American landscape as a pastoral environment, a sort of utopia; the realistic, yet idealized landscapes are revealing the impressive beauty of nature, and they are often juxtaposing peaceful agriculture and the remaining wilderness. The Hudson River School painters were led by the belief that nature, in the form of the American landscape, was a Godly manifestation, although their religious convictions differed. The inspiration was drawn from the works of European masters such as John Constable, Claude Lorrain, and J.M.W.Turner, while the fascination with nature was shared with contemporary American writers such as Ralph Waldo Emerson and Henry David Thoreau. The making-of process was related to other activities such as hiking and walking in general, since the artists painted on the spot, and if the terrains were unsuitable for painting, they would make sketches which were then extended in studios according to their memories. The school also supported a number of women artists although they are lesser known due to the fact they were able to attain formal training during most of the 19th century. For example, Susie M. Barstow was among the women pioneers of mountain climbing and so she painted mountain landscapes, while Julie Hart Beers led sketching expeditions in the Hudson Valley region before moving to a New York City art studio. Harriet Cany Peale, Mary Blood Mellen, Eliza Pratt Greatorex were also active participants of the school. The painter Thomas Cole was practically the founder of the Hudson River School; he was well known for his expeditions – in 1825, Cole traveled along the Hudson with a steamship, and hiked along the Catskill Mountains of New York State to paint the landscapes. The same year, the first review of his work was published in the New York Evening Post. Cole was accompanied by his close friend Asher Durand, who also became involved with the school as well. The Hudson River School became popular because at the core of their practice there was nationalism. They patriotically favored the natural treasures, although these artists were not very interested in technological innovations and the economic growth of the country. After Thomas Cole passed away prematurely in 1848, the second generation of Hudson River school artists appeared consisting of figures such as John Frederick Kensett, Frederic Edwin Church (Cole’s pupil), and Sanford Robinson Gifford; their works are often described with the term Luminism (a painting style centered on light effects in landscape). The finest paintings of the second generation were produced between 1855 and 1875. 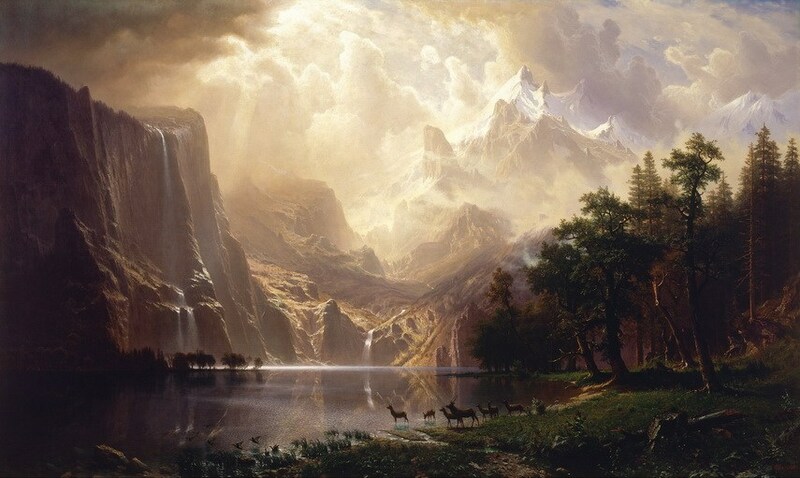 Frederic Edwin Church and Albert Bierstadt were practically celebrities during that period, and both were very much influenced by the Düsseldorf school of painting. Their large scale paintings were adorned by the masses since they featured the epic size of the landscapes, and outstanding wilderness of the featured areas in the country. This production coincided with the ongoing process of explorations of the American West, the establishment of green city parks and preservation of national parks. 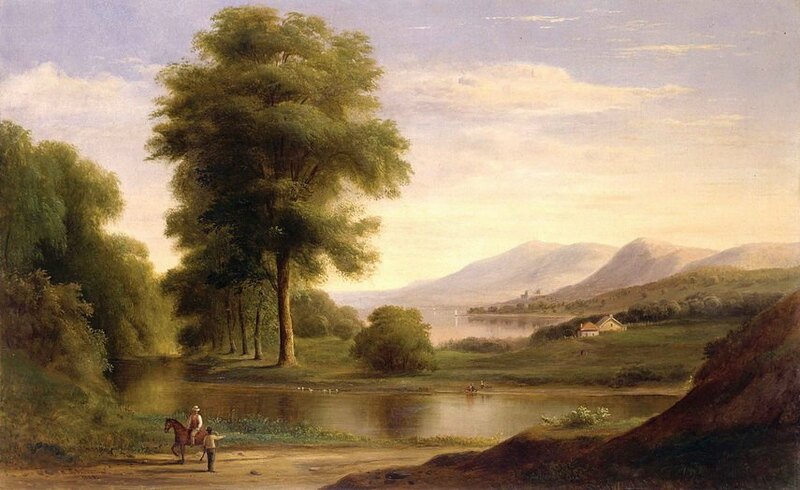 There are several collection which preserve the artifacts produced or belonging to the proponents of the Hudson River School such as the Thomas Cole National Historic Site in the town of Catskill, Olana State Historic Site in Hudson, New York, the Newington-Cropsey Foundation’s historic house museum, and the John D. Barrow Art Gallery in the village of Skaneateles. The Wadsworth Atheneum in Hartford, Connecticut houses one of the largest collections of paintings by artists of the Hudson River School. The painters of this school were criticized by later groups of artists for overstatement and anthropocentrism, especially by the Pre-Raphaelites. Their paintings were considered old fashioned already at the end of the 19th century due to the latest tendencies. However, the Hudson River School became popular after World War I, probably due to increased patriotism and the fact these canvases epitomized American independence and strength. 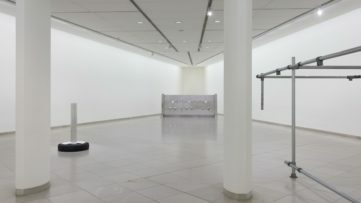 During the post-WW II period, the decline of interest happened since abstract art was at the epicenter of attention, while it this artistic phenomena once again spurred attention with the regrowth of the Hudson Valley during the 1960s and 1970s in the midst of environmentalist movement. 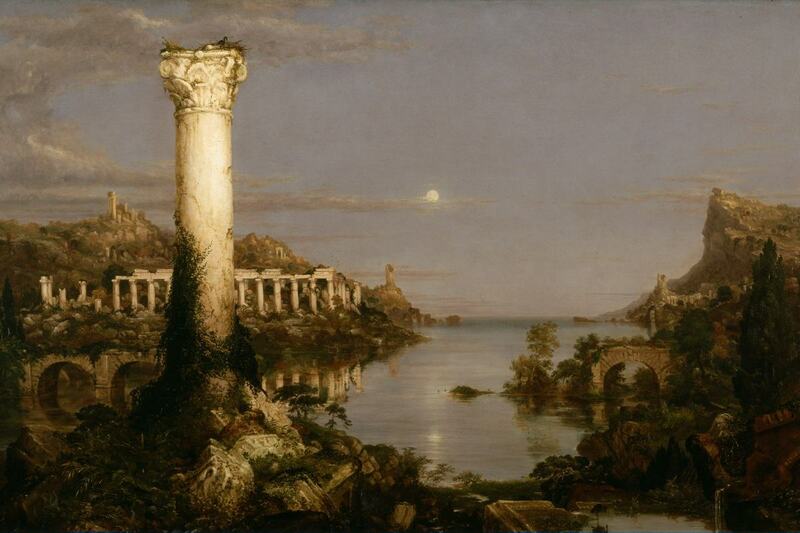 Thomas Cole – The Course of Empire: Desolation, 1836. Oil on canvas, 100.3 cm x 161.2 cm. Collection New York Historical Society. All images are creative commons.